One of the big questions after Jeremy Powers’ announcement that the Aspire Racing program is ending is what team Ellen Noble would be racing for in 2018/19. During her two years with Aspire, Noble won U23 Nationals and a silver at U23 Worlds in 2017 and then finished second at Elite Nationals in 2018, making her one of the sport’s brightest young stars. 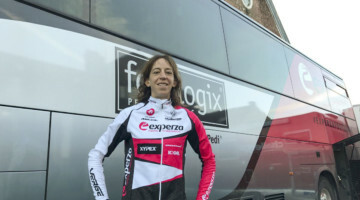 On Thursday, Trek Factory Racing announced it has signed Noble to its Cross Country team for the upcoming season. Noble will race in the UCI Mountain Bike World Cups this summer and then return to the cyclocross course this fall. Noble raced primarily on the road in 2017, but is now returning to her preferred summer discipline. She is a two-time mountain bike national champion and finished sixth at the 2016 U23 Mont-Sainte-Anne World Cup in Canada. Racing with Trek is not new territory for Noble. 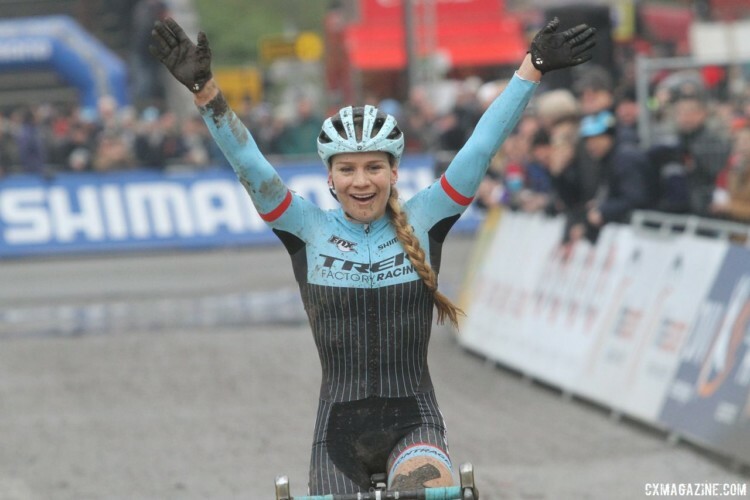 She was a member of the Trek Cyclocross Collective from 2012 to 2014 and won the 2013 Junior National Championship with the team. 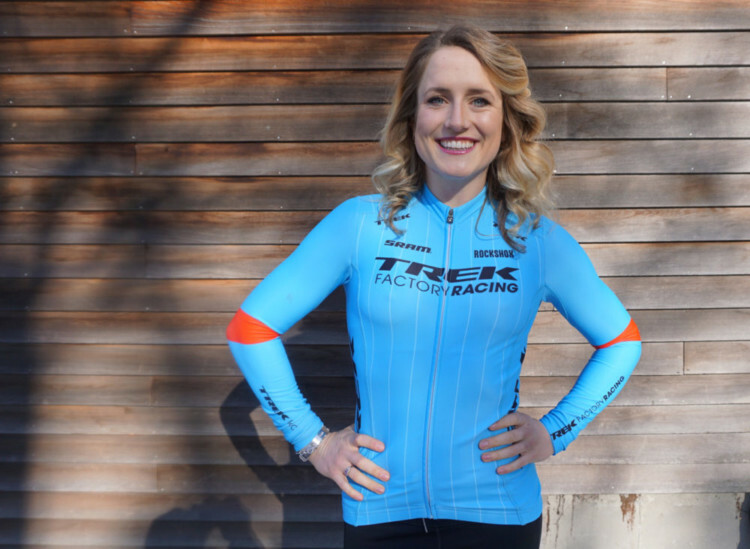 Noble will be joined on the Trek Factory team by Evie Richards of Great Britain. Stay tuned for more on Noble’s new team and how she will be balancing mountain bike racing with her cyclocross career. Its brilliant that she is now with Trek and has an Olympic event to aim for over the longer term. I was slightly disappointed with the bunny hop the patriarchy mantra as she used it to make a case for equality and empowerment but she didn’t seem to actually bunny hop in races after the world cup in the states and although she made a case for equal prize money she didn’t seem to have anything to say on other issues around equality like longer races which PFP for instance has spoken of. That said, I really wanted to say that Ellen Noble was part of why I got mad keen on cyclocross during the last year or so and she was also part of the reason for the recent growth of the sport with the determination she showed, the way during 2016/17 she competed in the World Cup events in Europe and took the under 23 jersey, some of the big results she achieved in 2017/18 and the enthusiasm, intelligence and sense of humour she showed on the start line, in interviews and on social media. I was sad watching the last episode of Behind the Barriers and I hope we see her on the start line at least at some cyclocross events next season. 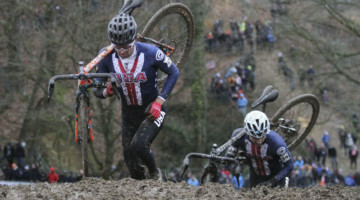 Hopefully mountain bikes gain won’t be cyclo crosses loss. Being a vet at at the other end of the age range I still find Evie and Ellen totally inspirational as athletes and young women. I don’t think given her rides and lap times Evie needs to say much about the need for greater equality but I am glad the sport has someone as eloquent as Ellen making the point. Hopefully they will both commit to a cross season and join all the other women who have made the women races this year the ones to watch – also hopefully in races closer to 50 minutes than 40 although there does seem to be some movement in that direction after the error of Namur. I’m big on hope so I’ll be looking forward to the mens racing next year as well and seeing where MVDP and WVA are at after their respective seasons of MTB and road – which based on their limited appearances this season will be something to look forward to – be good to see Nino really under pressure and another contender for PRoubaix.Finally a big thanks to CX mag and the US cross scene for providing some great racing and entertainment and a ‘Good morning’ to Kodie Kaiser who through his Vlogs showed just how much it means to be selected for worlds – if you haven’t seen them – watch them all from Nats to Worlds.